I mentioned in my own Tussey Mountain race report that I wouldn’t have been able to get my WS qualifying time without the coaching and advice of my good friend Shannon McGinn. Newton’s second law explains how the velocity of an object changes when it is subjected to an external force. The law defines a force to be equal to change in momentum (mass times velocity) per change in time. In other words, I was an object with not too much velocity. I needed an external force. Shannon was that external force. She Created Momentum. Please enjoy her write up, and please check her blog out from time time. It is filled with awesomeness. I really liked the course. For a ROAD 50 Mile National Championship race it was a great course. (If you want a trail race, you may prefer the USATF 50 miIe Trail Championship that usually takes place in March.) 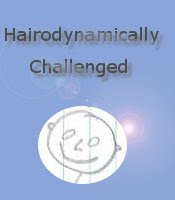 This course seemed to weed out the unprepared and allowed those who worked hard to shine. Unfortunately, I was one of those under-prepared and I felt that this course just ate me up and spit me out. The race is one single 50 mile lap that has more downs than it has ups, but the ups are long climbs. For example Leg 6 contains an 3.7 mile stretch of continuous uphill at I believe about a 7% average grade. Leg 11 has a stretch that reached about 11% grade. If you are able to run hills like that, you will get rewarded with an extremely fast time due to the blazing descents on runnable terrain that follow each up. Out of the 12 legs, only 5 are uphill, with the worst being leg 6. Three of those 5 uphill legs are in the first half. Once you get to 25 miles, there are more downhill legs than ups left! But leg 11 has the steepest of the climbs just before the final descent. Once over the last crest, the last 4.2 miles to the finish can be as fast as your heart desires. The terrain is mixture of mostly gravel and asphalt road. I found the gravel roads to have single track-like sections of dirt where car tires pushed away the gravel. It was much easier on my feet than running continuously on thick gravel. At some point the gravel, which was large gravel, could be felt through my shoes. The Race Director and his crew did a fabulous job of marking every mile. I wasn't sure if I wanted to know this much information but I found it absolutely motivating to know where I was on the course. There were also markers indicating 1/2 mile to the Aid Station before each of the 12 well-stocked pit stops. My only minor complaint is that they only served HEED as the sports drink. They did have water and Coke (no Mt. Dew) so I basically ran the entire race on Coke, water, 3 gels, a few potatoes and some chips. Each Aid Station supplied Hammer gel, potatoes, sweet and salty snacks, lot of drinks. Runners need to carry very little for this event. If you need anything not supplied, you could use drop bags. The night before the race Alanna pulled up the race website on her phone while we waited for a table for dinner. I scribbled on the back of a gas receipt which legs were up (1, 4, 6, 9, 11) and which were down. I put an asterisk next to the hardest legs (1, 6, 11) and then committed the up legs to memory. Sometime between dinner and bedtime I misplaced that receipt. I pretty much packed a backpack full of clothing I could wear for any permutation of weather. I checked the weather just before bed and it predicted that the rain would pass over night and leave the morning 37 degrees feeling like 33 with windchill. It was supposed to fell like 33 for a few hours. Wow. I have not run in weather that cold in a long time. The temps were to rise into the mid-40's by the time I should finish. The only thing I was certain of was that I would wear my capri pants. (I could have gotten by with shorts). I never use drop bags in races but I packed one for this one. One lap ultras scare the crap out of me. I actually have self-diagnosed myself as having some sort of revere claustrophobia. I can feel perfectly comfortable inside an MRI (and get some of the best sleep of my life in them) but put me on a trail that is too long and the moment I realize that I wont be able to get out for hours and I start to feel trapped. My main concern was actually what shoes to wear? My last 50 miler in April started with me in racing flats. I had assumed I would do that again. But I was concerned I would feel the gravel through the thin light T7's and need to swap. But when? 25? 40? Oh boy. So I planned to leave a pair of Launch's in a drop bag somewhere between mile 30-35. Then I decided to add a bottle of Gatorade. Then I added extra socks. Then a zip lock of gels. Then I realized this is stupid. I know I am not going to stop for this stuff. So I decided to just start in the Launch, forego the Gatorade, use the gels on the course but carry a few just in case they run out, and drink water and soda. I grabbed my old Nathan's race vest and a 10 oz Nathan's quick shot bottle, to be filled with gatorade at the start, and put it in the pocket of my vest. I grabbed 5 gels and dropped them in the other pocket. That was it. Done. Jim, Alanna, and I arrived early enough for me to decide that I did not need the hat and gloves I had on. I wore a singlet under a long sleeve tech shirt and added my racing vest over the top. Capris and my Brooks Launch completed the outfit and I was ready to run. At 6:55 am, I got out of the car and headed to the starting line. Just about 7 am we were running. I ran the first 12-13 mile with a guy who was running his first 50. He was moving well. We had the required conversations that runners have when the end up running together in ultras... races, paces, goals, Born to Run, Vibrams, how many races per year is too many, etc.. By leg 4 my stomach started to get upset and I decided I needed to walk the uphill on that section. I let my running partner go, wondering if I would see him again or not. I make a quit pit stop at the Aid Station just around 15 miles and just as I started heading back out I saw Christian. He told me to hurry up and I took off with him. Christian and I have run into each other at several races over the years, but never really spent much time running together. I was just starting to get into a negative place in my head when my stomach acted up, but seeing a familiar face perked me up. We ran, we talked, and I started to have fun again. I was having trouble with the climbs. I was simply just not prepared for those types in hills. I am a very busy flatlander and simply do not have time travel to hills to train. My heart was pounding in my ears and I decided that I needed to walk more than I originally intended too. We paced ourselves up the hills and ran hard on the downhills making up a lot of time. When we go to the top of leg 6, the worst leg and hit mile 25 just under 4 hours we knew we had an outside shot at sub-8. In theory, it wasn't an unrealistic thought to think we could even split this race. After all there were more uphills in the first half than the second. I declared that we should count how many people we can pass in the second half. At Mile 25 I felt like a super hero! But by the time we hit Mile 32, I was starting to fall apart. LOL! I was tired. My fueling was less than ideal. Since I cant drink Heed I was winging it. I did carry that small 10 oz bottle of Gatorade for way too many miles before I started topping it off with water. I would down cups of Coke and water at each stop. I did take 3 gels while I was out there. I ate a few chunks of potatoes, about 5 potato chips, and two pretzel sticks. I don't eat or drink much of anything when training long slow distance runs of up to 20 milers and have found this very helpful in preparing me for long races. The problem is sometimes I forget to fuel when racing but I have learned to recognize earlier than I used to when I need to take in some calories. While quickly drinking a soda at the aid station, I glanced down at my shins and noticed both were swollen. It wasn't terrible but it was obvious and odd. I have never experienced this before during a race that I noticed and especially not one as a short as 32 miles. I still had 18 more miles to go and now I was worried that something was going wrong. At the 35 mile aid station, as I grabbed another coke, I noticed a small bruise starting to form on my left leg, just above the ankle. Oh Great! I pressed around my leg and found that nothing actually hurt. It made no sense at all? Why am I swollen and bruising but nothing hurts? It distracted and concerned me, but we just kept moving. I whined to Christian about it and we both agreed that I would have been much better off if I had not noticed it at all. I am sure this was just some odd reaction to all the pounding on the down hills. Even though the course had less climbing in the first half, I was starting to run out of steam. Christian and I continued onward together and although our pace faded we were still managing to pick off runners as we moved forward. Some of them got us back. We reeled back in a few who blew past us early on. But for a good part of the many many miles we ran together, it was as if Christian and I were just out together on some well-stocked extra long training run. We simply ended up running miles and miles without another runner in sight. Almost 180 ultra runners in this race and 110 relay teams and for large parts of this race we were simply alone out there for large chunks of mileage with maybe at most up to 4 others in sight. It was peaceful and quite fun, especially when spotting beautiful views as we ran across the top of the ridge. As we got closer to end of the race, Christian and I somehow managed to pass a few more people on the steepest incline. How that happened I cant explain. He was having some knee pain. I was very worried about my cankles. We were kind of a moving train wreck, but we were moving pretty fast on those descents! I told Christian I don't know what place I am in but I want to try to hold it if possible. As we crested the last hill I wanted to run hard to ensure I didnt just give my position away. We really worked hard on that last descent. At one point, I noticed my Garmin reading 7:17 pace! We settled down and logged an 8 minute mile and settled in a little more for an 8:30. We continued to run and there was no one else in sight. As we came around the final bend with less than a half mile to go, I notice a female runner ahead of a male runner. I started to pick up the pace and Christian called out, that's a chick go get her! I started to pick up my pace and responded back to him that I think she is Relayer, but I kept pushing my pace trying to catch her, still not sure. As we approached the finish area, I pushed with all I had but there were cars in the road that I had to weave around a bit. I just did not have enough time to catch her anyway. She was an ultra runner and I was just too late. She finished about 10 seconds ahead of me. Although I know I ran as hard I could at this race, I am pretty sure if I train specifically for the hills I will be able to improve my time significantly. I am a little disappointed that I needed to walk as much of those uphills as I did. But I understand that happened because I was simply under-prepared. Now I know what to expect. Almost two months ago I got a message from my friend Jim P. asking if I have room on my roster for a new client. I had just completed training two runners and I had room. He asked if I could help him train for a Western States qualifier. The window closes in November and he was running out of time. He is living out in California now and had a few races planned out there, but when I looked at the results it seemed like Tussey was the best bet for a WSQ than any other option still available. 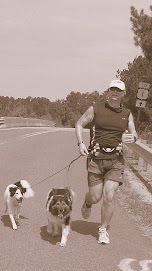 Jim wasn't even sure he was truly "coachable", reporting that his work life is too hectic, he can't plan regularly scheduled training weeks, sometimes he is on the road for days at a time, he likes to do his favorite run and that was important to him, he likes to makes decisions about his run while on the run based upon how he felt, etc...etc... So he was going make things tough. We only had 8 weeks!!! So rather than give him a rigid day by day plan that he could not deviate from that would surely fail him, I instead devised a series of training RULES and EXCEPTIONS that he had to follow. I sent him weekly plans that he could alter as long as he followed those rules. The rules were complicated and devised to meet a criteria I needed him to meet and allowed him to move the less critical mileage around as needed. Jim loved this method and managed to complete every single thing I asked of him despite his unpredictable crazy schedule. He was committed, dedicated and never once sent me a daily feedback email saying he skipped a workout. He even did the obnoxiously horrific hill climbing treadmill workout I devised to mimic that ridiculously long climb (er...ahem...um... more often than I actually did it... LOL). After I finished I was a little panicked. I knew there was a high percentage of WSQing finishers at this race, but as I stood at the finish line started to reflect on the fact that this course has a 12 hour cut-off. This means that most who finish WILL WSQ, but many will get pulled and simply DNF. The race results did not indicate how many starters DNFd so I had no idea what percentage of starters actually made the 11 hour cut-off. I started to fear I may have misinterpreted the data and my mistake was going to fail him and there was nothing I could do about this now. The awards ceremony was announced at 5 pm (at 10 hours into the race) and Jim wasn't in yet. I was jumping out of my skin. I was watching the finish area from the bottom of the hill where the pavilion was while also trying to listen for my name. 6 pm would be the 11 hour cut off, so at 5:45 I started walking up the hill to wait for Jim and Alanna. I was hoping they would be together. But as I walked towards the finish area, I saw him... walking down the hill towards me... exhausted! He did it!!! He got his WSQ and a new PR! I was so happy for him! He worked so hard and he did it! Shortly, thereafter Alanna was done too. Open Women 5th (for prize money that paid for the trip). Love this!! Very cool to hear about Shannon's race AND to hear her perspective and Jimbo's!! Congratulations to both of you! !